Eastern’s Dani Mlkvy takes possession of the ball during Wednesday’s game against Williamstown High School. Mlkvy is expected to have another big year after setting the Vikings’ single-season program record for draw controls in 2018. Some athletes like to forget about disappointing losses they suffer on the field. 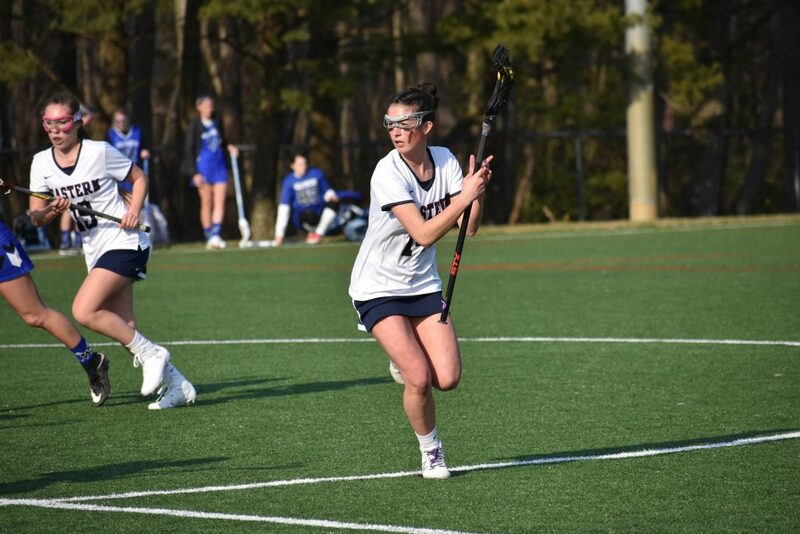 However, Eastern girls lacrosse senior Madison Cowdin doesn’t want to forget the Vikings’ defeat in last year’s South Jersey Group 4 final against Clearview Regional High School. There’s a fire in the eyes of every player on Eastern’s 2019 girls lacrosse team. Players such as Cowdin, senior Dani Mlkvy and junior Kara Heck were a part of the Vikings’ first-ever sectional championship team two years ago. After Eastern came up short in last year’s sectional final, the Vikings are ready to bring a trophy back to Voorhees. 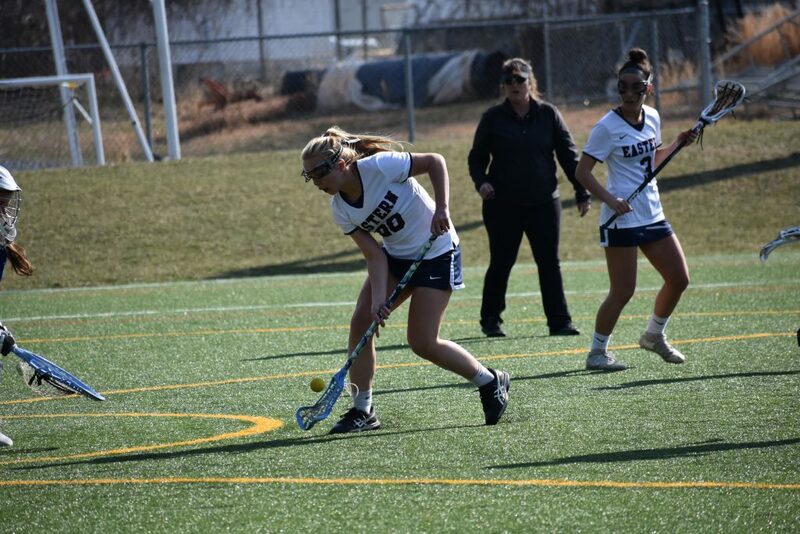 Eastern will be trying to get back on top under new head coach Gretchen Kiep, who knows all about what it takes to win a state championship after serving as an assistant coach for Group 2 state champion Haddonfield last season. The biggest change for the team has been trying out new plays and new positions. “We’re switching it up who plays where and we’re throwing in freshmen,” Cowdin said. Though there is a new head coach with the program, the Vikings have a lot of the same players in the starting lineup. Three of Eastern’s top four goal scorers, Heck, Mlkvy and senior Tori Accardo will lead the Vikings on the attack. The three players combined for 124 goals last season. On defense, Cowdin leads a talented group along with junior Anacapri Slack and sophomore Kaitlyn Henry. 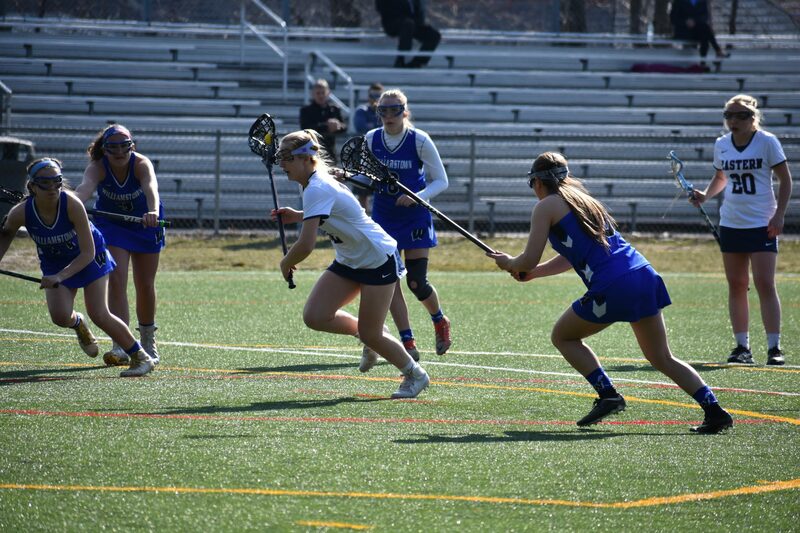 Junior Kelli McGroarty also returns in goal after having a stellar first season in net for the Vikings in 2018. Eastern’s Kara Heck sprints toward the goal as she prepares to score one of her six goals in a win against Williamstown High School last Wednesday. Heck is expected to be one of the Vikings’ top offensive contributors in 2019. Eastern got off to a fast start Wednesday with an 18-2 win over Williamstown High School. Energy was high on the sidelines, and Heck said the game gave the team an opportunity to try out some new plays. It’s no secret the Vikings’ goals for this season are to win another sectional title and return to states. However, Mlkvy said the team isn’t getting too bogged down on its goals and is instead focused on improving each day in practice. Eastern is hoping to continue refining its work as the calendar turns to April and the team features several challenging conference games. One of the biggest games on the schedule for the Vikings is a trip to Clearview on Friday, April 5 for their first game against the Pioneers since last year’s sectional final defeat. While the Vikings’ players like to take things one game at a time, Mlkvy acknowledged Eastern would be extra motivated for the matchup with Clearview. “It’s going to light a fire under us,” she said. Eastern’s Ryleigh Heck scoops up a ground ball.